Wear the mangekyu itachi of the anime Naruto. Red and black spiral design. 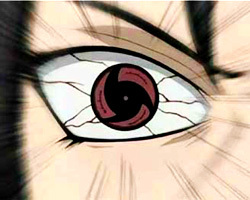 ColourVue Mangekyu contact lenses have been named after one of the most popular and loved anime in the history - Naruto. Characters in this series are able to change their eye colour and activate particular abilities in themselves. The Mangekyu type of eyes has only been activated by a handful of characters from the series and so it appears in the anime very rarely. You, however, can enjoy Mangekyu eyes any time you want thanks to ColourVue Mangekyu lenses! Try them now and become the most powerful Uchiha! What details do I need to place an order? Can I use my glasses prescription to order a pair of contact lenses? What does '1 x 2 lenses' mean? I am confused. Where can I find discount codes? Optyk Rozmus is a contact lens retailer specialising in providing the best in contact lens products for our UK customers. We meticulously select brands based on their safety standards, quality of production and comfort in use. Our collection is curated by our in house staff of ophthalmologists, opticians and eye doctors.